As a third party retention agent, I have enjoyed more than 5,000 conversations with Professional Drivers over the past four years. Although I have had previous experience conducting exit interviews, a whole new world unfolded for me when I started contacting Drivers to do “check-ins.” Designed to build relationships in the beginning of the employee life cycle, check-ins provide confidential opportunities to touch base with new Drivers up to four times during the first six months of employment. The more time I spent talking with Drivers, the more I began to realize the advantages of the check-ins. First of all, conversations are an opportunity to create an outlet, provide perspective, and communicate on a more personal level. Secondly, speaking with a Driver as a person is the most beneficial aspect of a check-in. Like most people, Drivers respond to respect and a little caring. I make sure they know the check-in can be done when it is most convenient for them. If the check-in isn’t our first check-in together, I will ask follow-up questions from our last conversation. “Did you make it home for your anniversary?” “How is the new baby doing?” “Are things going better with your Driver Manager?” “Have your miles gone up since we last talked?” I’ve had many Drivers express to me how the check-in helps them feel less like a number and more like a person. Sometimes, I contact a Driver for the check-in on a day that isn’t a good day for them. He or she may be frustrated about miles, or recently had a conflict with their Driver Manager. I urge the Driver to continue our conversation as an opportunity to talk about what is going on and vent if needed. More than one Driver has stated that it helped to “get it off their chest” and they felt better. One less upset Driver on the road is beneficial for everyone. Another approach when checking-in with Drivers who may be focused on a negative aspect of their job is around perspective. Because Strategic Programs, Inc. specializes in collecting actionable data, my check-ins also consist of completing a survey with each Driver. Survey questions are geared across all areas of satisfaction and engagement. 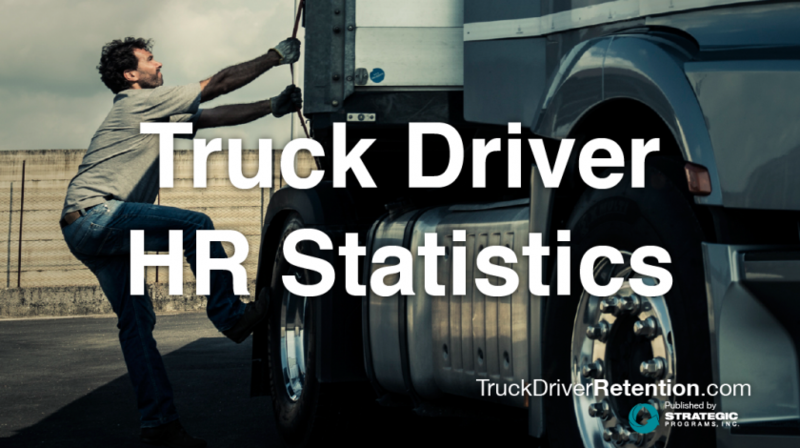 By the time the Driver thinks through their feedback regarding payroll, Driver Manager/Fleet Manager, miles, equipment, areas of Driver support and benefits, his or her strong focus on the one negative has expanded to other elements of their job. As a result, the surveys can be a good reminder that there are still positives associated with their experience. As someone whose feet most likely can’t reach the gas pedal of a big rig, I have learned a lot about trucking from Drivers – it is fun to have their engagement level jump when I ask them to explain how something works or the meaning of trucking terminology. A majority of Drivers I have spoken to are proud of their careers and their knowledge of trucking and take pride in providing excellent service to the companies for whom they drive. I have enjoyed my time talking with Drivers and the opportunity to get to know them a little more for the people they are, and share in the advantages of checking-in. To learn more about our New Hire Check-In services click here, or send us an email or call us at 800-800-5476.